Is your business excited and ready for the holiday season? We're here to help you with resources and information! Below you'll find updated information on holiday promotions, the holiday window contest, free weekend parking, and more. or Alex Rike at alex@downtownchapelhill.com. Call us at 919-967-9440. 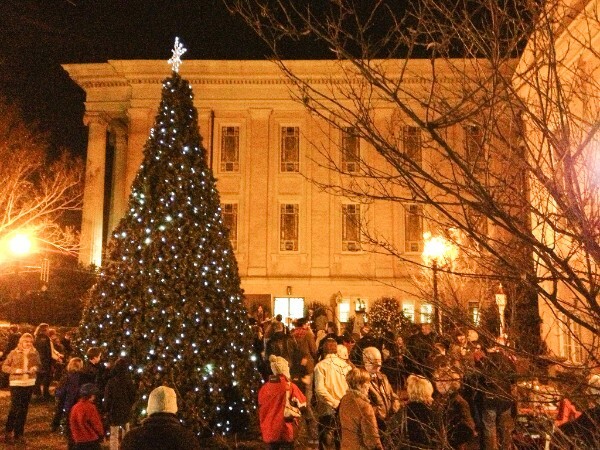 Downtown Chapel Hill Shines Bright: Is your event, promotion, or sale listed on our dedicated page for the holiday season? We want to promote your business; email us your information today. Visit www.downtownchapelhill.com/holidays to see the ever-growing list. Holiday Window Display Contest: Showcase your business this holiday season and participate in the 4th Annual Holiday Window Display Contest! Choose any theme you like, but lights must be included in the display. Enter by Fri, Dec 1st. The community will vote for the winning business; who'll get $600 of advertising in the local media of their choice. Check out the contest details and sign up today. Free Weekend Parking This Holiday Season: Promote the free weekend parking to your customers to encourage them to eat, shop, and enjoy downtown. Include a link to the parking website - www.parkonthehill.com - on your social media, e-news, and website. #ShopSmall on Small Business Saturday: According to American Express, the #SmallBizSaturday event has a high awareness among customers - 70%. And our community highly values local businesses. Celebrate your business on Saturday, November 25th by using #ShopSmall on all your social networks. The Downtown Partnership will use our social media channels to encourage people to #ShopSmall on #SmallBizSaturday too. Chapel Hill - Carrboro Holiday Parade: The parade struts down Franklin Street on Saturday, December 9 from 10am to 12pm. The parade starts at the Morehead Planetarium and ends up at Town Hall in Carrboro. Be prepared and welcome those parade watchers into your business that morning! Visit www.chapelhillholidayparade.com for details. Our Holiday Social: Join us for food and networking at a lovely -- and delicious --Holiday Social at Imbibe. Click here for details and to RSVP. Snowflake Decorations on Franklin Street: The decorations were purchased by the Downtown Partnership in 2008 and had been showing their age in the last few years with dimming bulbs. This fall we rewired and rebulbed all 35 snowflakes--and it shows! They will brightly shine over the downtown business district until mid-January.